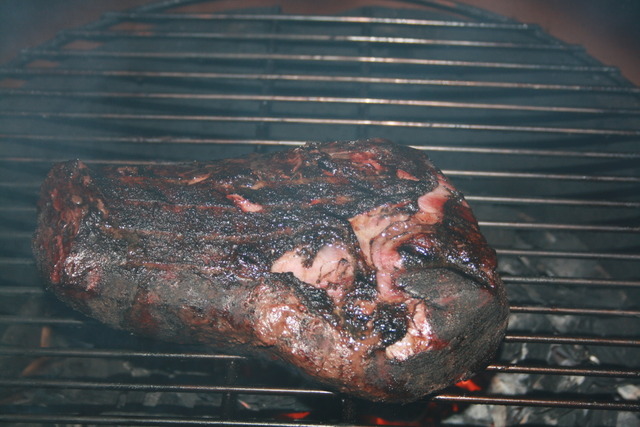 Seasoned a 3 pound chuck tender roast with Tatonka Dust and smoked with whiskey barrel chips with indirect heat at 200º till it reached an internal meat temp of 120º. 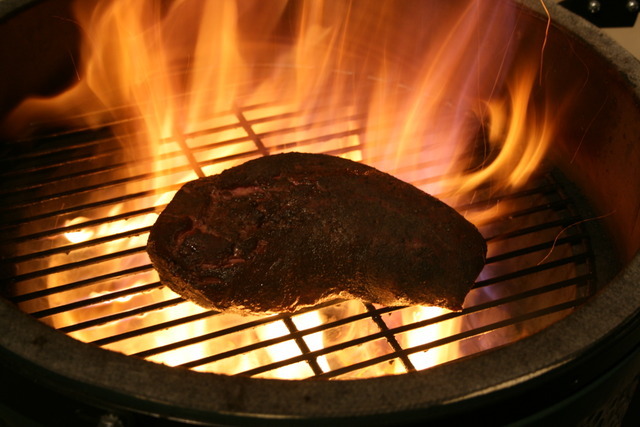 Then gave the roast a good flaming sear to 130º internal meat temp. Here is the roast after the sear. 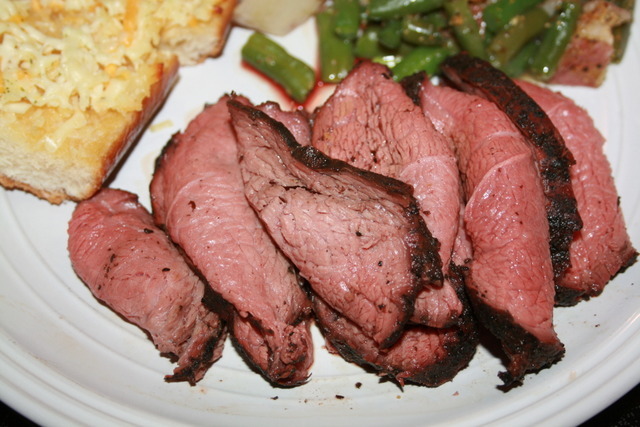 Chuck tender roast plated with garlic toast and green beans & taters. I've been wanting to smoke a beef chuck to it shreds for tacos. One of my family favorite dishes is my tacos and I make them on the stove or in the oven until they shred. 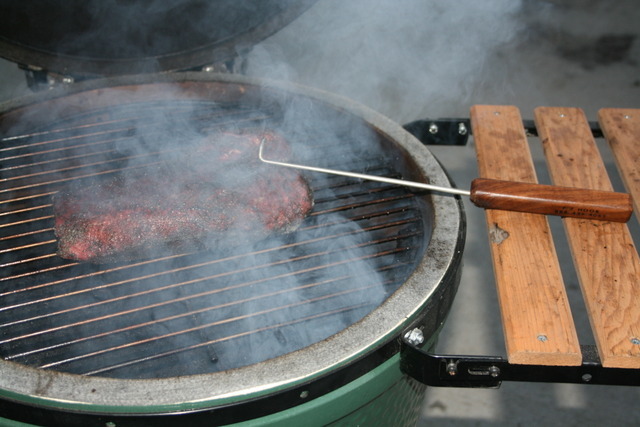 I've been wanting to smoke a beef chuck. 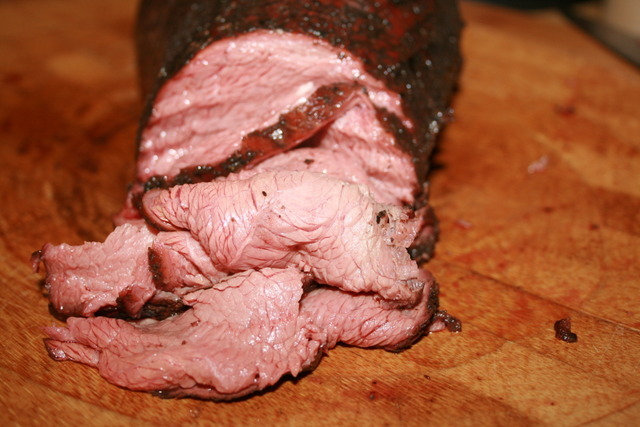 I made tri tip tacos this last weekend but I cook it like a normal tri tip. Yours looks like you could chop it up and it would make good tacos.